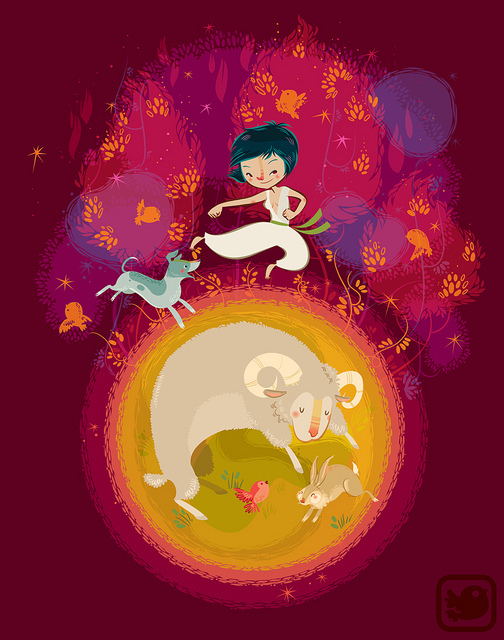 June is bound to be a fast paced month for you, Aries. This is a month to embrace change and work with others. Unexpected surprises occur where home, family and personal relationships are highlighted. The 4th House represents your family life, home affairs and where you live. It also represents the areas of motherhood and dealing with issues from the past. Expect transitions in these areas to bring you fulfillment and a greater understanding and insight into your home and family life. Venus (Love, appreciation and admiration) enters Cancer on 6/2 joining Mercury (Self-expression) in Cancer. June promises a new and improved home life and brings more love, appreciation and beauty to this sector of your life. Women will be helpful and supportive. You might consider selling your home, relocating or working on a home beautification project. Your planetary ruler, Mars, entered the compatible air sign of Gemini on 5/31, bringing lots of discussions, debates and socializing into this mix. With Mars in Gemini, friends and family will have news to share with you but it's in your best interest not to take what others tell you at face value, Aries. Mars in Gemini brings a social, friendly and forward thinking element into your life. As a result, your friends, a love interest and family members could promise more than they actually can deliver. Enjoy the discussions you engage in but try not to hold anyone to their promises during Mars in Gemini. Neptune will retrograde in Pisces (your 12th House) on 6/6 and remains retrograde until 11/13. Neptune blurs the boundaries between you and others, Aries. This retrograde will be subtle, but you will find it challenging to separate your head from your heart during this time. Personal relationships will be ultra important to you and you might have a tendency to turn minor matters into major ones. Watch out for co-dependent tendencies in your personal relationships to possibly surface. With Venus in Cancer, there will be some changes in your home life, for the better. You find relationships with family members and all home affairs running more smoothly as the month begins. A love relationship could take off in ways that excite and entice you. Your focus will be strong where family life and home concerns are involved throughout June. A New Moon falls in Gemini on 6/8. Gemini is your 3rd House of communication, siblings and relatives. This New Moon is a day to circle on your calendar, Aries. You notice on this date that life looks brighter and new offers via neighbors, family and within your social and romantic circle will be presented to you. Your powers of persuasion will be strong and others will admire your appearance, sense of humor and personality on this special day. A Full Moon falls in Capricorn 6/23. Capricorn is your career and prestige sector and this Full Moon brings professional matters front and center. Something at your place of employment comes to your attention and it will be up to you to determine where to go from here, Aries. Jupiter (Planet of growth, abundance and prosperity) changes signs (From Gemini into Cancer on 6/25/13) and Mercury (Planet of travel, communications and self expression) will turn retrograde on 6/26 - 7/20. Hold your temper as the month comes to a close. The last week of June can be somewhat stressful with Mercury retrograde and Jupiter entering Cancer (from Gemini), so make sure to remain as diplomatic as possible for ideal results. June promises to bring positive developments into your home and family life for the next year. You can count on your home life changing in some way. The key word is expansion with Jupiter. You will notice this part of your life really beginning to pick up speed as June begins and will this prosperity continues to bring movement and good luck throughout the next year. The signs of Leo, Libra and Aquarius will play key roles in your life throughout June, Aries.